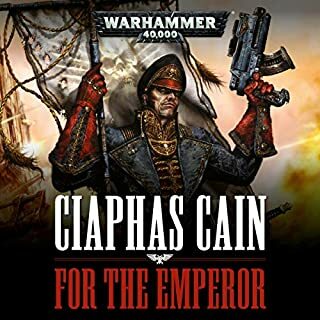 Now a renegade among renegades, he is loathed by those he once called brother, and even the most degraded of Chaos Space Marines fear his name. Exiled for his dark experiments, Bile has retreated deep into the Eye of Terror, leaving a trail of twisted abominations in his wake. But when a former student brings word of the ultimate prize for the taking, Bile is unable to resist being drawn once more into the cauldron of war. 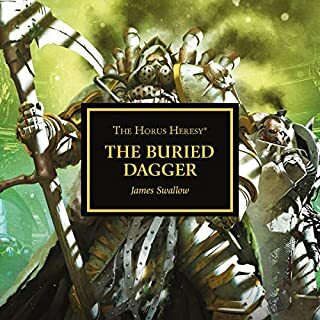 For in seizing this prize, Fabius Bile might yet discover the one secret his has been unable to unlock...the secret which will prevent his inevitable doom. engaging story - lots of good supporting characters and motivations. Shows how Chaos gets ready for conflict. 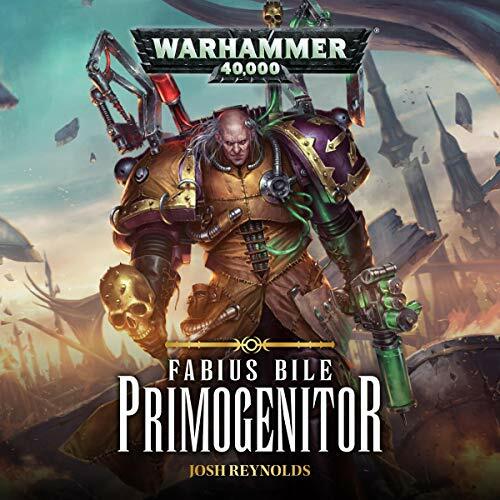 When I first delved into warhammer, I hated Fabius Bile. But a friend of mine talked me into reading this novel, and I must say, I have found a new respext and love for the primogenitor. Within the first few hours, this book quickly made its way to the top of my favorites list. It is beautifully written, and the performance is simply amazing. 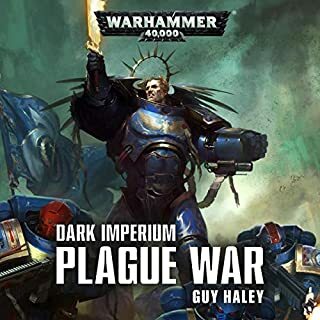 A must read for anyone who lokes Warhammer 40k and its lore! Chaos is just not interesting. this book, like many movies, is just about Gore and violence for the sake of Gore and violence. Fabius is just not an engaging character from my perspective. 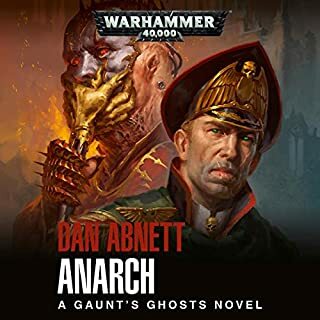 Abandon is the only chaos character I have found to be intriguing and this and other choas POV books are simply "hey, look at how bad we are". 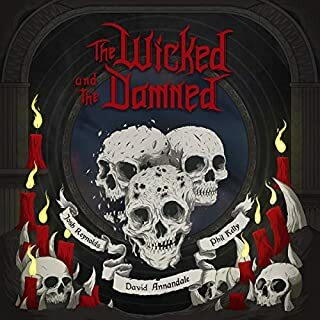 Excellent narration and story. Really expands on society within the eye of terror. 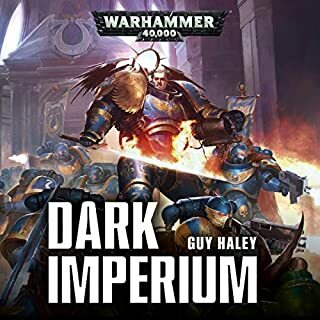 Great for any 40k fan. 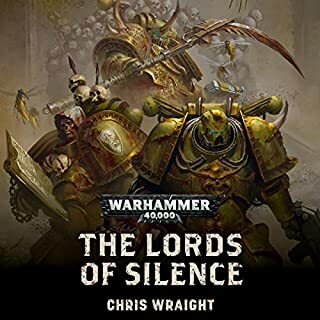 Best chaos story I've read since the night lords! 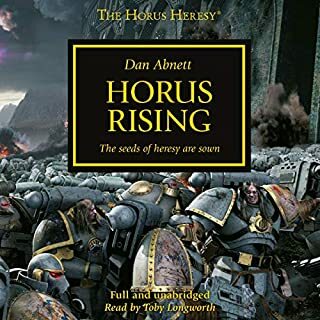 I had real doubts going in but this is actually the best chaos story I've read since the night Lords Trilogy after reading this I believe I will actually pick up the model! Sometimes the characters felt truly evil, other times they seemed repentant and full of sorrow. That could make for an interesting character arch except that it's seemingly random and without purpose. Great story progression that kept me coming back waiting to see what happened next. 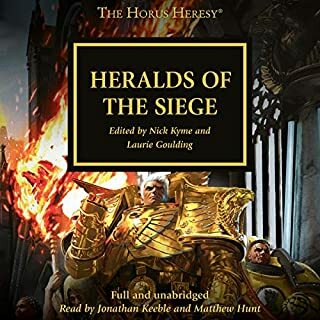 Along with interesting insight into Fabius Bile and how he views the Warp and its inhabitants. 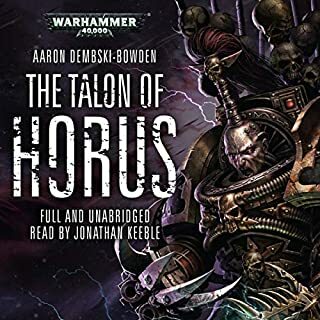 If you're a fan of the Emperor's Children and Fabius you'll like this. 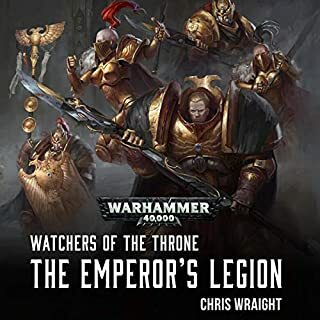 It gives a pretty in depth look into Fabius as well as how far the Emperor's Children have fallen. 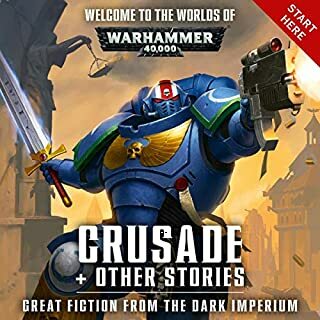 Finally Warhammer 40k comes to audible. This is going to get expensive for me. Sweet as. 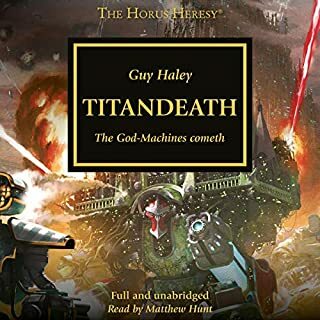 One of the best 40k novels, and I have read/heard plenty. a truly complex character is our fabius, gifted, twisted, cruel, idealistic. Many of the other characters were absolute peaches also (greetings from slaanesh radiant king). The voice performance was fantastic, the character sounded just as I would have imagined them. fabius bile... mad bad and dangerous to know. 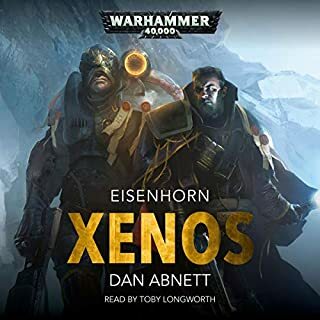 Once again another great listen from the 40k universe! JOHN banks brings the characters to life brilliantly. 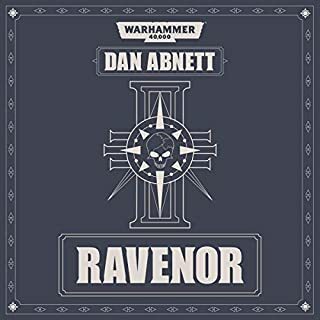 if you like WarHammer 40.000 you will love this. the reading of it the way the story is written and told it is just superb a great story to listen to. 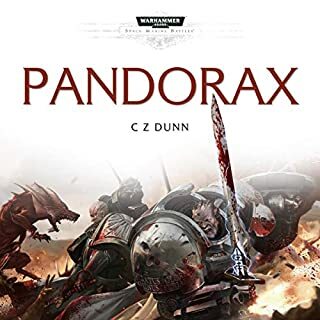 Another quality tale from the Warhammer 40k Universe. 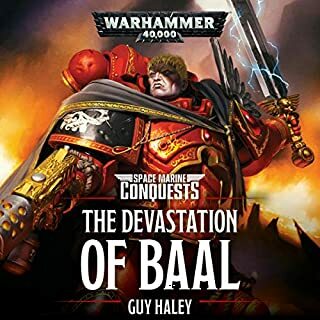 Great story Fabius Bile is unique to say the least. Really great narrator as well ! Excellent voice acting and narrating. Enthralling story with beautifully vivid imagery. 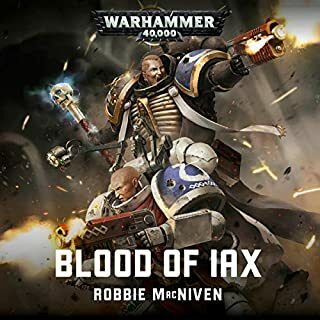 A enjoyable 40k novel delving into the infamous 3rd legion and Fabius Bile.